The service, due for launch in summer 2011, sees the mobile phone operator partnering with Barclaycard. Moving the experience on to the mobile is something consumers want, according to Jason Rees, head of m-payments at Everything Everywhere. Everything Everywhere plans to extend its contactless services. 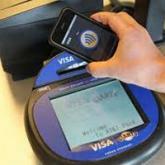 It is rumoured that Apple will incorporate NFC in its next iPhone.